Nestled in the Himalaya, sandwiched between the two giants India and china, is Nepal - home to two of the world's great religions, Hinduism and Buddhism. It's exotic reputation comes from it's incomparable blend of high mountains and rich culture. Rolling hills, broad valleys and lush jungles are crowed by the frozen peaks of the central Himalayan range, including eight of the ten highest mountains on earth. 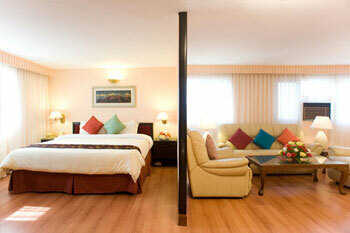 Vaishali one of the grandeur colossal hotels of Kathmandu, snuggled in the Himalayan kingdom of Nepal. Vaishali an emblem of purity & elegance, where one can get all sort of modern luxurious as well as Nepali tradition & culture. Vaishali offers guests a choice of 95 centrally Air conditioned elegant rooms with 8 splendid suites, all rooms are elemented with color TV with remote control , individually controlled Air Conditioning, international direct dial, attached shower baths. Rang – Mahal: A multicuisine serving Restaurant with a Cultural Programme. Paanchali: Enjoy serving Indian, Chinese Mughlai, Continental & Authentic Nepali cuisines, perhaps the finest venue of its kind in Nepal. Trishna: The coffee shop overlooking our swimming pool serves delectable edibles in a pleasant formal surrounding. Maihkana: A stunning bar to quench your thirst with a wide muster of drinks. A Conference Hall accommodating 82-100 Pax and a smaller hall to seat 25 – 30. Group/Group series: rates on request.